We hear a lot about diversity, because of the ever-changing world around us. But, when you’re forced to face it and learn how to unite a team of highly diverse people, how do you do it? 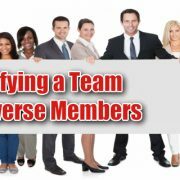 First of all, it’s important to understand that diverse team members are actually a good thing for your organization. It might not always seem like it, but diversity can aid an organization in problem-solving, creative thinking, and productivity. 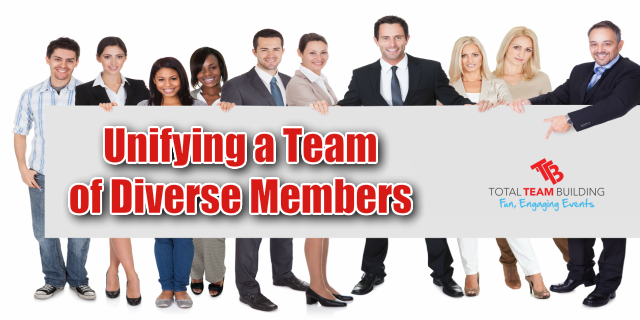 These benefits can only happen if you can properly manage your diverse team of employees. How can you manage a diverse team? There is no easy answer to this question and no solution that fits into all situations. However, there are a few great tips that can help you find the solutions to your what’s happening in your own team. Respect The Uniqueness Of People. Above all else, respect is necessary if you want to have a rightly functioning group of diverse people. Not only should you respect them all individually, but you have to create a culture of every team member respecting one another. With diversity comes a plethora of viewpoints on every issue, a variety of lifestyles, and a lot of different cultural differences. This is difficult to navigate at times, but if you train your employees to always act with respect for one another, and if you also embrace that principle, then you can manage to work together more peacefully. Only when you appreciate that everyone is unique can you begin to accept people as they are. Respect their uniqueness. Support them in their individual learning and developmental process. Be grateful for having attained this level of awareness. Developing your awareness is a life-long personal challenge on the path toward perfection. Acknowledge to your team that you are made up of a lot of diverse people, and make sure they understand that this was intentional. It’s important that each member knows that they belong on the team and that it wasn’t an accident that brought them there. Show each member why they are important to the team and what you expect from them. Your entire team should understand your expectations for them as a team, and as individuals. It is much easier to unify people once they have something to work towards! You are only one person with one way of thinking. If you want a truly diverse team to last, you’ll need to make sure they can be involved in the decision-making process in a meaningful way. Don’t exclude your team from important decisions that need to be made. Ultimately, you are the final authority and the one who makes the call. BUT, you should involve your team in the process of deciding what that call will be and how you as a team will proceed towards your goals. Teams that make decisions together are more likely to be able to stick to those decisions and create fantastic results. 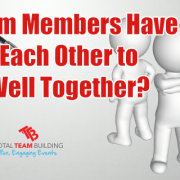 If your members feel like they are not involved in the process, or worse that only a few people were involved and not the entire team, you may lose your unity very quickly. Leaders often make the mistake of assuming everyone will respond the same way to their leadership style. This simply isn’t true, and many leaders create problems when they act on this assumption. Don’t be one of those leaders! Instead, be willing to adapt your leadership style to each team member, according to what will work best with them. Your goal isn’t to make friends and keep everyone as happy as possible, but if you can manage to do that along the way by switching up how you do things, why wouldn’t you? People from diverse backgrounds won’t always respond the same way to your leadership, and that’s okay. Be willing to change up how you do things in order to help make every employee as productive as possible. Where diversity exists, conflict always follows. It’s natural, and not always unhealthy if it’s done in a productive environment. Plan times of structured conflict where employees are able to discuss their own diverse ideas and thoughts without criticism, just healthy and useful conversations. Make sure to mediate these discussions closely and keep employees from ruining the atmosphere with negative comments or personal attacks. Managing a diverse team is not going to be easy, but the benefits are clearly there if you can be successful. Use these tips to help guide you towards a healthy team full of diverse thoughts and different ideas.